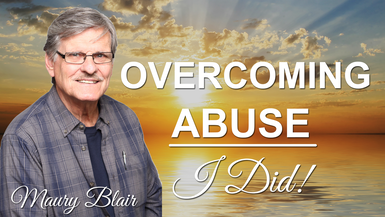 Maury Blair was severely abused as a child yet he did not let circumstances shape his life into bitterness. Today he travels the world sharing his secrets on overcoming abuse.Watch his movie, listen to his interviews, hear him answer questions. Read his book. All on Child Abuse Overcomer! On this site you will find a wide ranging series of Maury Blair interviews on radio and TV; the Child of Woe movie seen by almost 800,000 on You Tube; the Child of Woe Audio Book; twenty 1 minute inspirational segments for victims of child abuse; and much more!